Or We Can Make It A Reality. West Shore Construction has been the leading Hurricane Protection Company, Window, and Kitchen Remodeling Company and most importantly the Go-To Florida State Certified Building Contractor in the Tampa Bay area since 1985. When you have your home or business painted or your kitchen remodeled, you want it done right and you want it to be protected. There is no room for shoddy work or missed deadlines. That’s why our customers have hired our Window, and kitchen remodeling company repeatedly – they know the job will be done on time, within budget, and that the results will be fantastic. We are proud of our work, but more importantly, you will be proud of the way your home or business will look. 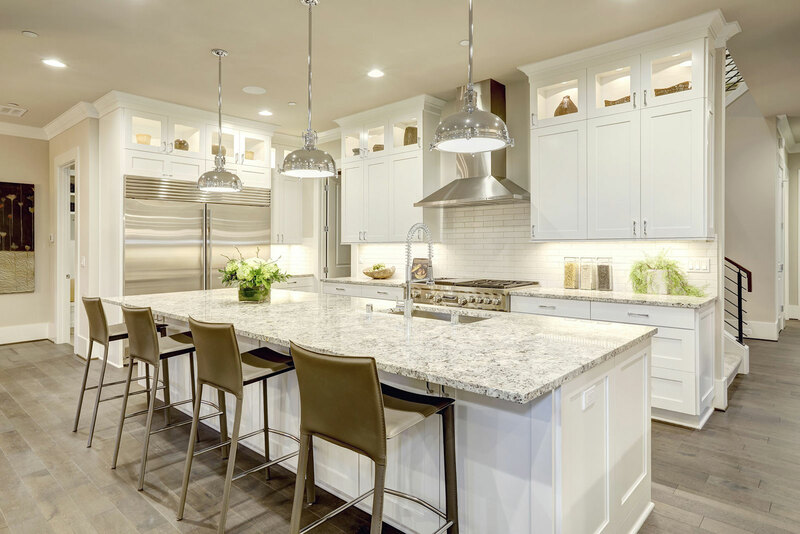 Your remodeled kitchen & bathroom will be the most popular rooms in your home. Call us when you are looking for the best Hurricane Protection Company in Tampa, Clearwater or St. Petersburg, FL or the best kitchen remodeling contractor. We offer the finest in kitchen remodeling, windows and hurricane protection services in Tampa, Clearwater, St Petersburg, Brandon, Palm Harbor, Largo and all around the beautiful sunny Florida Suncoast. Our continually growing list of delighted clients is the greatest testament to the professionalism and attention to detail we put into every job. Whatever type of project you are considering, we can help! Professional house painting is one of our specialties, and a job that we really enjoy. For a home owner, it’s important that the house looks well-maintained and attractive. Keeping the exterior in good shape is a big part of that, and new paint applied by the best St Pete, Clearwater and Tampa Bay painting company and remodeling contractor can make a world of difference. You will love the look of your “new” home! Ready to replace your windows? Or spruce up your home? Get started on the right track with a free estimate. or if you have any questions, call us at 727-488-8182, or send us a message! Bahama shutters are one of the best choices for hurricane storm protection and good looks for homes and businesses throughout Florida. With the volatile weather throughout Tampa Bay, Bahama shutters are the right way to protect your property. Not only do they enhance the aesthetic value of a building, but they are highly protective as well. Shutters, like many additions to your home, are an investment that you can enjoy while also increasing the value of your property. To get started, we come to your home and, answer any questions you may have about options and designs. Our team can provide a same day estimate for your kitchen or bath project. Have questions? Call us at 727-488-8182, or send us a message! We have taken the time to research and find the best quality hurricane protection products at the best price available. COLONIAL SHUTTERS offer a decorative colonial style as well as hurricane protection. They are side hinged and stacked on both sides of the window promoting the look of a Colonial Estate. Before the storm arrives, the shutters are simply closed and latched with locking brackets. Call us today for a free estimate at 727-488-8182, or send us a message! Free Estimates Call Us Today!!! Whatever type of project you are considering, it all starts with a free estimate from a Tampa, Clearwater and St Pete construction company and the best contractor in town. We will come out and discuss your plans with you and offer you a detailed free estimate indicating the total cost, when we can start, and when the job will be finished. We offer services in Tampa, Florida as well as Clearwater, St Pete, Palm Harbor, Largo and throughout the Florida Suncoast.